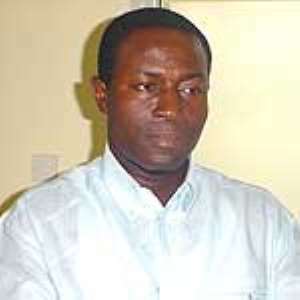 Accra, June 24, GNA - Nana Akomea, Minister of Information, on Thursday reacted to series of allegations made against the Highly Indebted Poor Countries (HIPC) initiative. He said most of the allegations were unfounded, which needed more clarification from the Government and explained that it was unfortunate that the use of HIPC funds to construct basic projects like KVIP or toilets in some communities had received criticism from certain quarters. Nana Akomea was briefing the press on the status of the HIPC initiative, which, he said, had helped to generate macro-economic stability and released funds for internal development that would have rather gone to service the country's foreign debts. The Minister explained that under the Ghana Poverty Reduction Strategy (GPRS), communities were given free hand to identify their needs and to chose projects, which would address those needs. "So if a community, which is better placed to know its major needs identify lack of toilet and choose to apply their HIPC allocation to provide for themselves a public toilet, is not presumptuous to sit in Accra and ridicule the community?" The Minister asked. Nana Akomea said the assertion that HIPC had brought about increase in prices of the utility services contained elements of historical fallacy. "The policy of cost recovery in utility services has not come about because of the HIPC initiative. It has always been a key part of our CA programmes (ERP or SAP) since 1983"
He said though the policy of cost recovery was worthy, "it must be balanced by the ability of the citizen to afford to pay". He said the allegation that the outstanding arrears of the District Assemblies' Common Fund (DACF) arose as a result of the adoption of the HIPC initiatives was unfounded. Nana Akomea said in 2000 when the Government had not taken the HIPC initiative, the DACF arrears stood at 107 billion cedis. "The fact is that Government revenue and payments could run into temporary problems largely due to unforeseen pressures." The Minister explained that such pressures could emanate from extra salary payments to public sector employees like doctors, nurses, teachers, lecturers as well as increase in payments for oil imports. Nana Akomea said it was not correct that the Japanese Government would stop providing loans to support Ghana adding that the loan the National Democratic Party (NDC) administration contracted from Japan had rather been converted into a grant.